Would you like to have a peaceful stay but still in close proximity to the vibrant city of Mechelen? Have a look below in our reservation system. Select your date of arrival and departure and click on ‘check availability’ The system will then show you a new worksheet in which rooms are available. We wish you a pleasant and relaxing stay! On Wednesdays and Fridays we host BNI meetings in the morning. Customer can join these meetings. 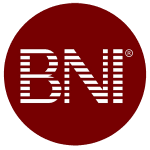 You can find more info about BNI here.